I was so caught up with planning G’s first birthday party the past two weeks that I couldn’t find time to write a post! Luckily, parties at the house push me to finish projects, so I have lots of small (and a few large) house updates coming this week and next. 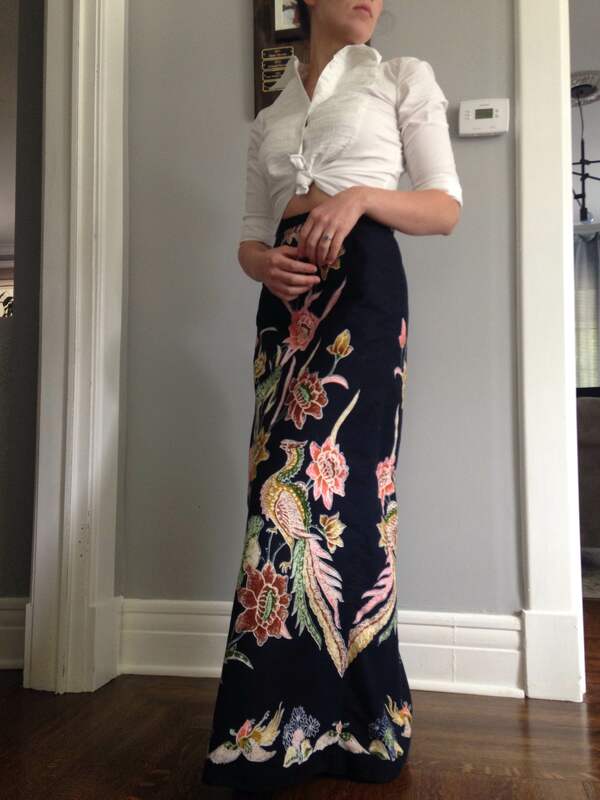 For now, here is a gorgeous wrap skirt I found for $1 at a thrift store a few years ago. I come back to it every year because the print manages to be both bold and classic. I wore it for a leisurely breakfast with S and G a few weeks ago.